A wave of white, pure and fresh, greeted at CREMOLAB’s beauty workshop. (It felt like entry into iCloud.) 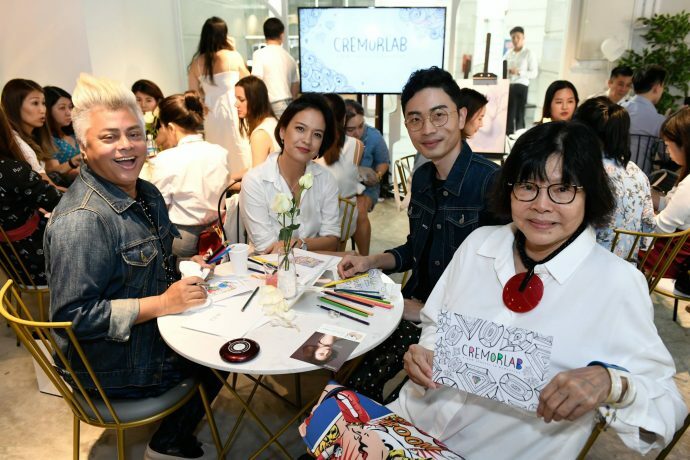 Guests attending the exclusive event, hosted by the leading make-up and skincare brand from South Korea, were cushioned in a comfort zone of bingsu, colour pencils, fluffy white hairbands, and pretty girls – and boys, naturally – all around. Hydrate, hydrate, hydrate, if this is not already your mantra, girl, where have you been! Under the ocean with Spongebob? Speaking of sponge, Cremorlab’s hydrating cushion compacts is a lifesaver for dry skin. And we’ve all had those days, faced with parched and leathery skins that could use a drink pronto. The R&D, 10 years in the works, of Cremorlab’s waterful wellness is T.E.N. Nature’s gift, harnessed to perfection to keep your skin ever on the improve. T.E.N. 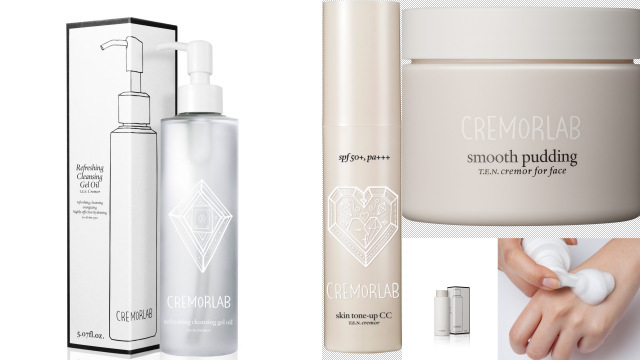 is Cremorlab’s core-based ingredient, a thermal water of superior hydration properties to keep skin moist, soft, radiant, and healthy, so dewy in fact, it’s a wonder you’re not featuring in the current Korean TV soap opera. T.E.N. is premium thermal water from a small town deep in the mountains in South Korea, containing rare and essential minerals, with antioxidant properties. When the make-up stylist had finished on his model, with minimum dabs and pats, she looked 10-upon-10 all right. Cremorlab is available at #01-187 Tangs Vivocity, #01-48/49 Guardian Beauty at Jurong Point Shopping Centre. Sounds like a wonderful product. Is it available in California? Not too sure if it is available in California.